We believe that people should be in control of their own support and care and that doing so should be straightforward. We believe that people should be able to choose the support solutions which are best for them without faff and without fuss. We believe citizens should get the best value for their personal budgets and personal wealth so we support them through the whole process. 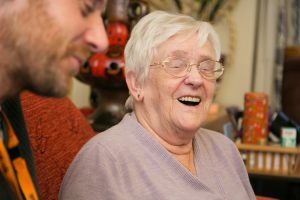 We believe that care workers, carers, volunteers and personal assistants should be helped to do their job effectively so that they can deliver quality services. We believe that people deserve to get the best support solutions to meet their needs and within their budgets. To make personal support easily available anywhere to everyone. Our mission is to create desirable personal support solutions that are accessible, affordable and trustworthy to improve health and well-being.